I have a post that will make you smile today. If it doesn’t then you’re dead on the inside. 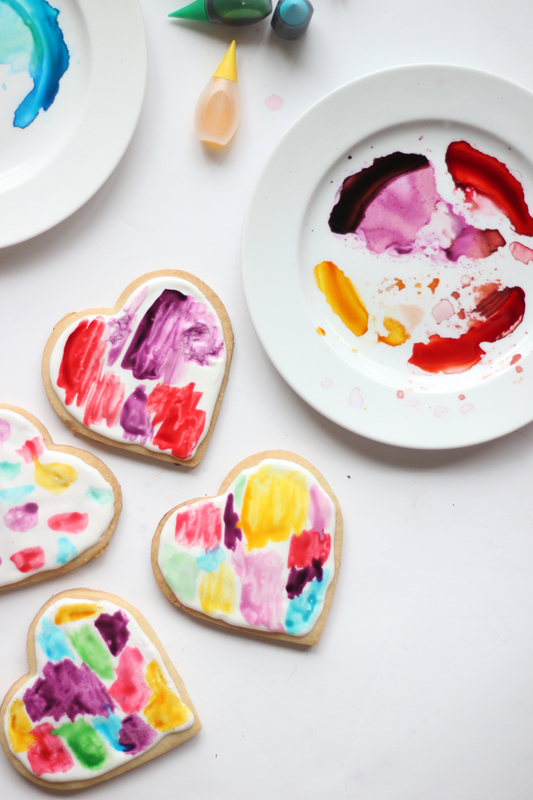 Whether you love or hate Valentines Day you can’t deny your love for these pretty watercolour heart-shaped sugar cookies. This project marked a few firsts for me – first time successfully making sugar cookies and royal icing! And first time painting my food. If you’re looking for a special little gift to give a friend or lover, give ’em a little piece of art right from your heart™. When it comes to baking it depends what mood I’m in but I’m usually looking for a way to cheat. This project was more about the pretty watercolour painting than the actual baking. I tried to find some ready made heart cookies and royal icing. Yeah, that didn’t happen. So I rolled up my sleeves and gave it a shot. Last time I tried to make sugar cookies in a shape they kinda just turned out as deformed blobs. #fail. 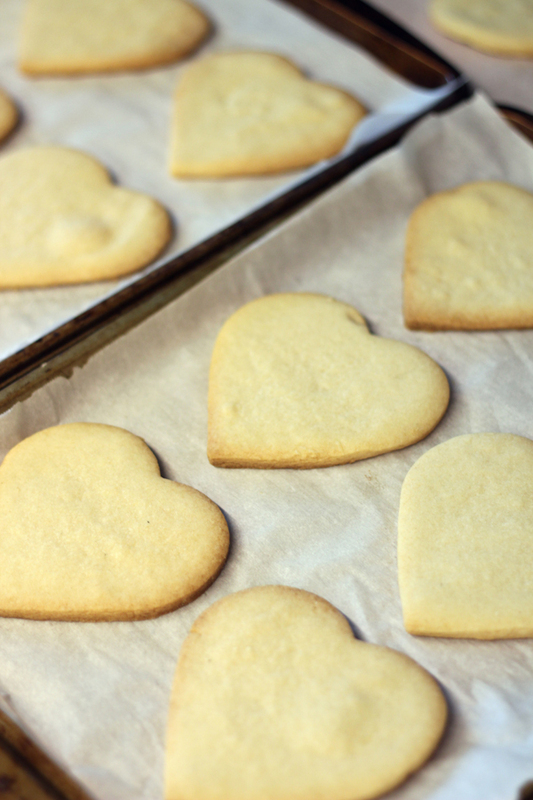 This time I used this sugar cookie recipe that helps them keep their shape. A big tip is to chill the cookie dough for at least 1 hour before baking. I’m not going to lie, I was impressed with myself for turning out such a perfect batch of cookies, golden edges and all. 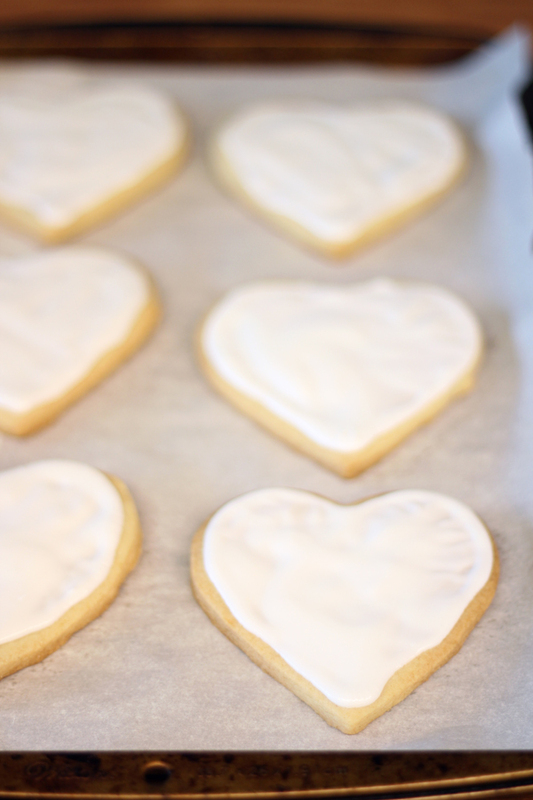 Then I used this royal icing recipe and whipped up a batch. A tip is to add more icing sugar if you find it a bit liquidy. Ice your cookies – a.ka. 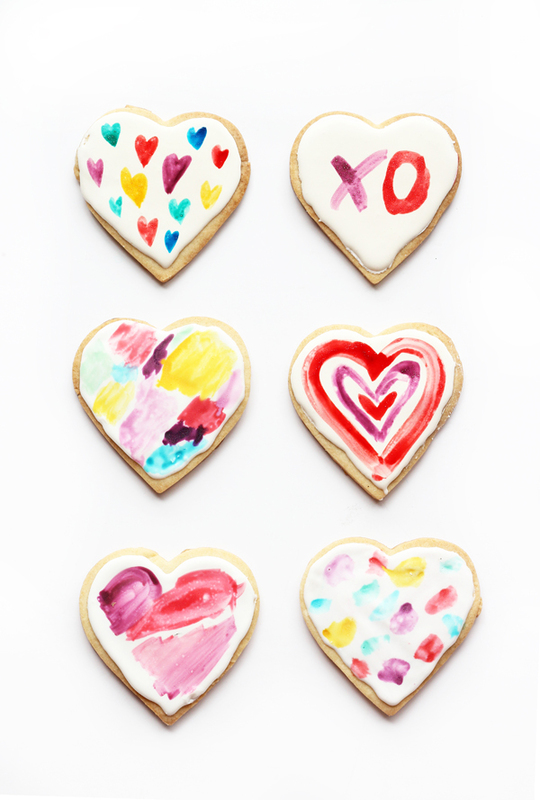 your canvases and let them chill in the fridge until the icing has hardened. 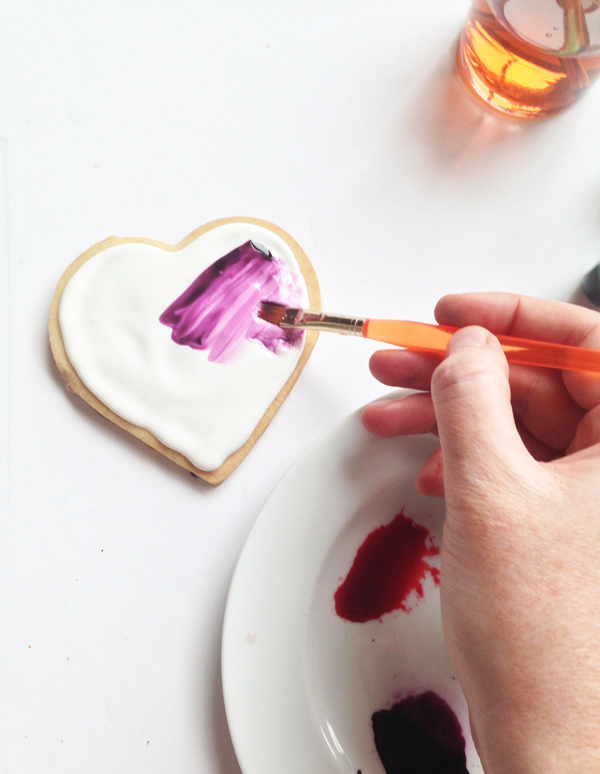 You’ll need some of your favourite hues of food colouring and some brand new brushes. I picked these up at the dollar store. 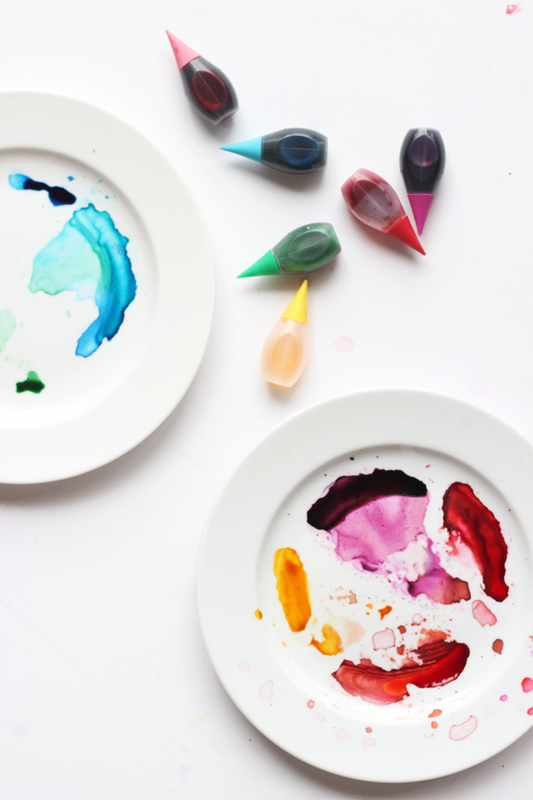 You just need a small drop of each colour then add some water and have fun mixing your palette. 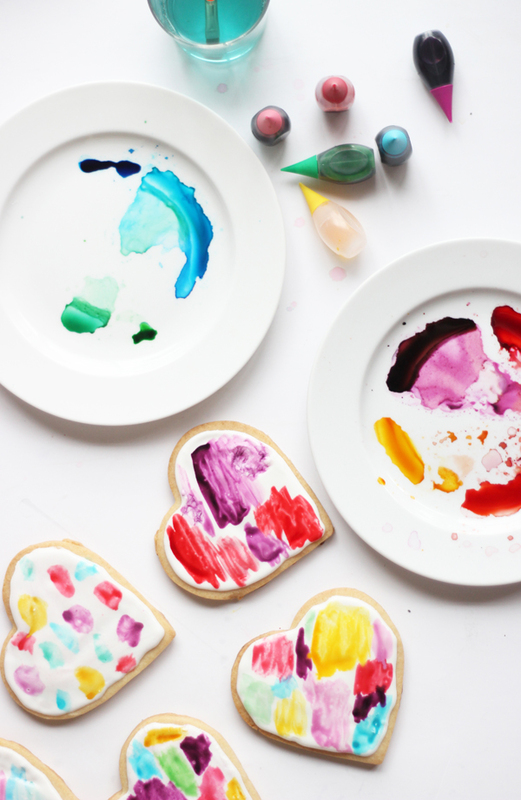 Then it’s time to channel your inner artist and start making some delicious and beautiful art from your heart. 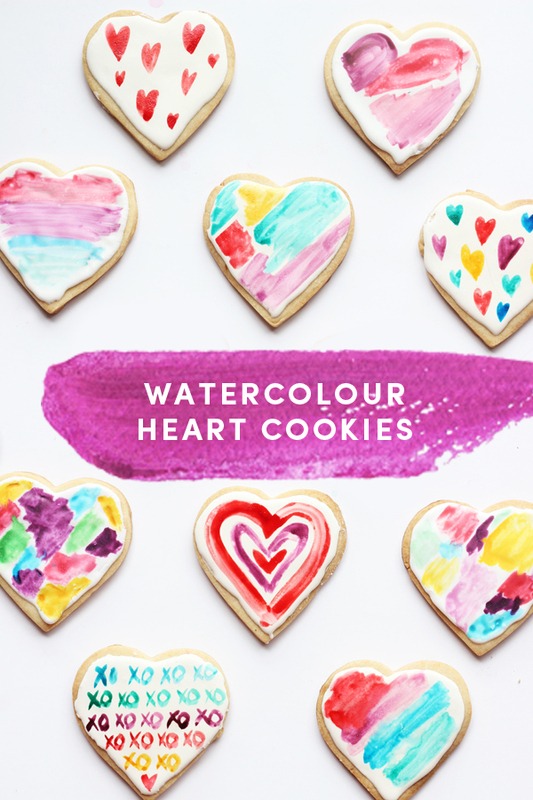 It’s so much fun you’ll find it hard to stop and wish you had 50 more cookies to paint. I love how each one is a little piece of art, it really makes it so much more than just an edible gift. Here’s a seizure inducing clip of some of my colourful creations. This would also make a great activity if you’re hosting some friends to celebrate the day of lurve. Just add some takeout & wine and you’ve got all the essential food groups covered. This is the funnest! My kids would love this little treat… to make and eat! 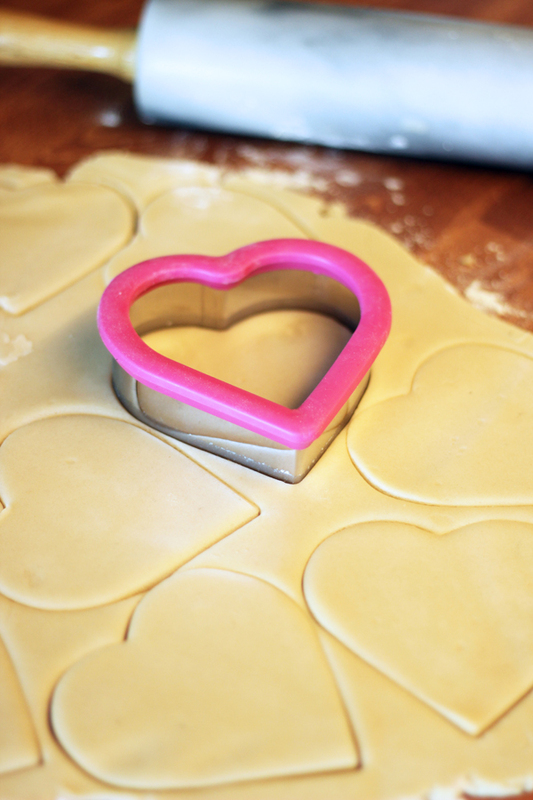 I don’t usually do Valentines day baking because the hubby doesn’t like sweets…but these look like so much fun!!! If i had heat in my kitchen I would definitely make them for myself! Love these! I was looking for something to bring to the girl’s daycare. This is perfect, plus I have those dollar store brushes. Thanks! yes, the dye will dry completely if you give it some time. I wrapped these up in plastic bags with no issues. I don’t know if you will get this but I’m wanting the recipe for the icing? Didn’t I understand you made it? 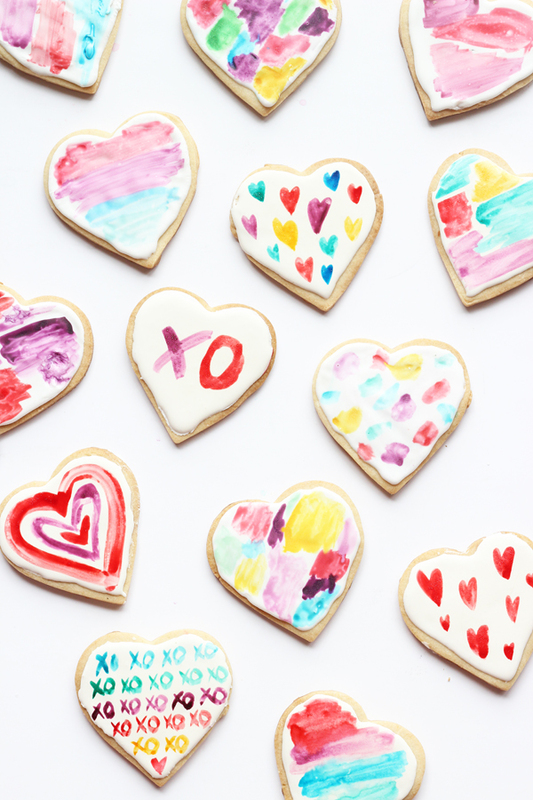 Looking to make this today, however, not sending them to school until valentines day, do you think that these cookies could be frozen after iced and decorated??? THat’s just a few days away. As long as you have them in a sealed bag/box/carton they’ll be fine until Tues, no need to freeze.